A tough, "get the job done" attitude is expressed when your friends see this gun knife on display in your home! The 6 1/2 in. 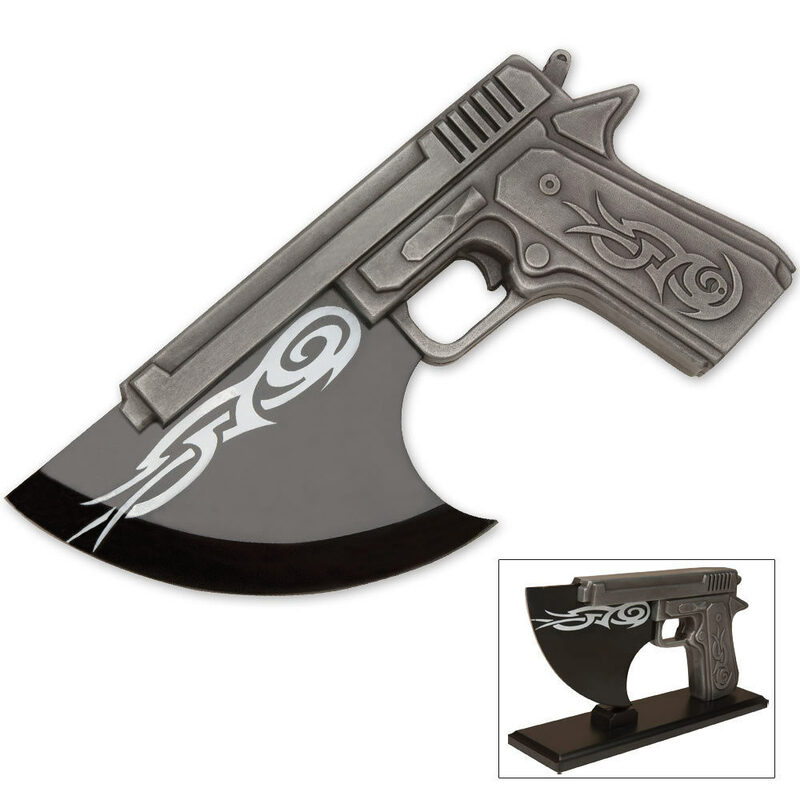 stainless steel blade has a black-coated finish with a pistol-designed handle and tribal designs. Includes a wooden stand for display purposes. 9 1/2 in. overall.